Kids are basically very small drunk people. Drunk people + swords = pirates! 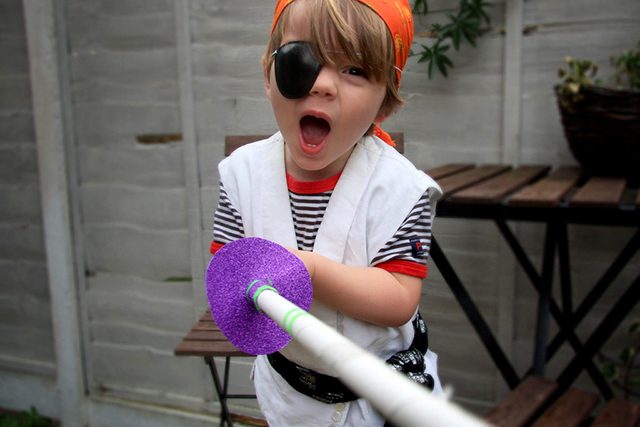 Entertain your little drunken sailors with this easy paper pirate sword. Some wrapping paper. You could use newspaper – but let’s be serious, when was the last time someone with kids under five read a newspaper? Once complete, pack away breakables and prepare for swashbuckling.